I admit I deserve a time out in a creaky, rickety time out chair. I apologize for not commenting back to my followers. Just haven’t been up to par this week, dealing with allergies and fatigue. And a toddler who runs faster than his Grammy’s old bones can bend. Please know you’re important to me, and I will be paying each of you a visit ASAP. Funny Bones is a bit rattled. 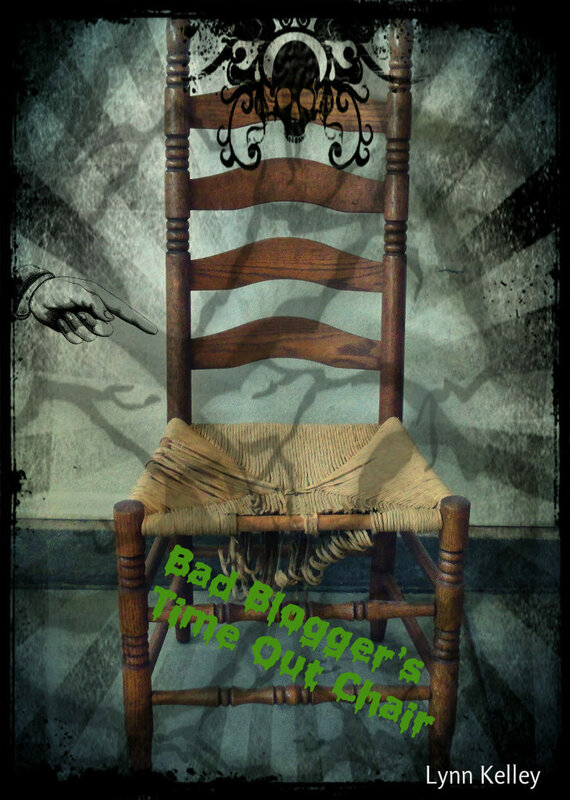 Bad Blogger’s Time Out Chair? No, please! Not the dark and dreary, dreadful Time Out Chair! I ain’t got the guts for that! Please give me just one more chance to make it up to you. It’s your call, friends. I’ll leave the punishment up to you. Moving on, last Friday I promised you some monster laughs, so here you go. Be sure to share some of these with your favorite trick-or-treaters. Are you good at telling jokes, or are you like me and can’t remember the punch lines anymore? This entry was posted in Uncategorized and tagged children, Funny Bones, kids, monster jokes, skeleton, time out chair, vlog. Bookmark the permalink. Must be coming up to halloween or something! Hope you're feeling better? I'm with you – I forget the punchlines, LOL. Hope you feel better soon! I feel like I'm in the same boat. You kindly commented on my blog last week for Alex's blogfest. I'm just getting to your page! It's hard to keep up with everyone. Bat temper – bad!You always visit me Lynn and I really appreciate that. You know I'd still come here even if you missed a few posts. I cannot tell jokes. 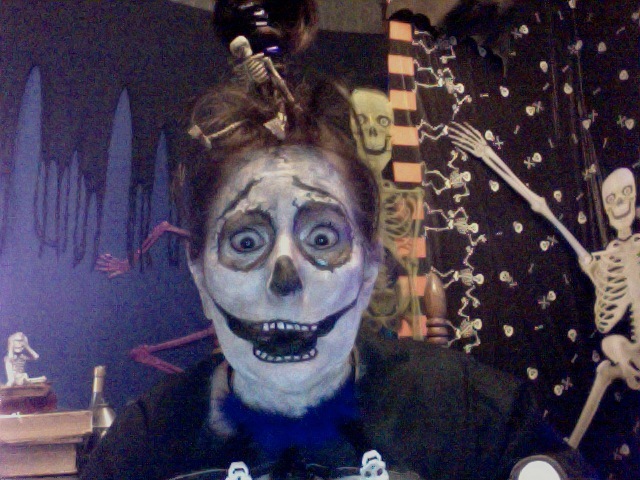 I'm so not funny that way.Happy Halloween, Lynn! Goodness, you do't have to reply to each of us individually! We know you love us all and that you're super busy. :)I'm lousy at telling jokes because I never remember enough of it to tell it well. For a long time, too, the only jokes I can remember were…well…ones I couldn't tell in front of kids. LOL! Yeah, I'm bad!Happy Halloween and grandkid-sitting! You are the vlog queen Lynn! I hope you are feeling better this week… Love your jokes!